Our team is comprised of facilities management professionals from over 23 countries on five continents, with all operational staff holding degrees in facilities management fields. We are managers of sporting infrastructure, commercial and cultural venues, health facilities manufacturing plants, and educational facilities. Our executives combine best-in-class international experience with local knowledge, accrued over years of successful facilities management in Qatar. We love the win-win: Mosanada as well as its clients have been awarded for exceptional performance in facilities management. Mosanada FMS is a joint venture between Aspire Katara Investments, Qatar Olympic Committee and Cushman & Wakefield. Our diversity contributes a wealth of knowledge, skills, and competencies to your business. We are equipped to manage a wide variety of facilities across sectors. Our client relationships are strong and enduring. Since Mosanada’s inception in 2013, 100 percent of our customers have renewed their FM contracts. We are proven – the British Institute of Facilities Management (BIFM), the Facilities Management Middle East (fmME) and Tarsheed (Qatar’s national conservation campaign) have honored our work. Our clients can be assured that we are using international best practice in our work, from ISO 9001 and 14001 standards to OHSAS 18001 health and safety standards. Mosanada is lead by a senior and knowledgeable Board of Directors who have experience in delivering FM services for a wide range of clients and industry sectors. The board is made up of qualified and experienced nationals and expatriates. Abdulaziz Al-Mahmoud was appointed as the inaugural Chairman of Mosanada Facilities Management Services in 2013. In addition to his duties with Mosanada, Abdulaziz is the Deputy President for Aspire Projects, overseeing construction of various stadia/facilities in support of the FIFA World Cup being held in Qatar in 2022. Prior to that he served as Director General of Aspire Logistics, one of the Aspire Zone’s three Strategic Business Units. Abdulaziz has also held numerous secondary duties associated with the sports industry in Qatar, such as President of the annual Aspire4Sport Congress and Chief Executive Officer of the Al Sadd Football Club. Abdulaziz holds a Master’s degree in Engineering Management from George Washington University (USA). Ahmed Al-Mulla has over 10 years of diverse experience in finance and project management. Having held accountancy roles in Diwan Audit Bureau, Kahramaa, and Qatar Foundation, Mr Al-Mulla joined the QOC in 2012 as Director of the Finance Affairs Department. Mr. Ahmed holds a Bachelor of Commerce degree, majoring in accounting. Khalid Al Mohannadi Khalid is Assistant Secretary General for Technical Support at QOC. An experienced senior director with history in multiple fields, Khalid brings with him 18 years of expertise in IT, planning, engineering, operations & maintenance, and PR. Prior to joining QOC, Khalid progressed through several positions at Qatar General Electricity & Water Corporation. Khalid is married and holds a Bachelor in Electrical Engineering from Qatar University gained in 1995. Ghanim Al Kubaisi has been the Chief Financial Officer for Aspire Logistics since 2017 and joined the Mosanada board in 2018, bringing specific experience in accounting, budgeting and contract administration. With passion and skill for customer focus, Ghanim's input to the board spreads beyond the financial realm for which he is known. Ghanim started his career at RasGas after completing his Bachelor’s Degree in Accounting at Qatar University. Starting at RasGas in 1999, Ghanim quickly progressed up through the ranks within the accounting and finance functions, culminating in him being appointed as the Manager of Financial Reporting. At RasGas Ghanim translated their business strategy into results through the careful leadership of a large, multifunctional department. Colin is Cushman & Wakefield’s Chief Executive Officer, EMEA, responsible for strategic growth across EMEA. He has served on the European Executive Committee since 2015, playing a key role in driving business across the region. Colin has more than 20 years of real estate expertise with the firm, having joined in 1996 and appointed Director in 1998. He was on the UK Board between 2005 and 2008 and also sat on the Boards of the Irish affiliate businesses between 2005 and 2008. An ambassador for increased diversity and inclusion in the industry, Colin launched Inspire, Cushman & Wakefield’s new UK diversity and inclusion initiative in 2016. He was a member of the RICS Governing Council between 2013 and 2017. Saleh Ahmad Al-Khlaqi has over 10 years’ experience in senior management positions within the Qatar FM sector. With a specific interest in the automation of maintenance at large-scale mixed-use facilities, Saleh brings valuable perspectives and experience to the Mosanada Board. Saleh values creativity and reliability and brings these qualities to his board responsibilities using methodical and analytical approaches. Saleh's professional career has involved placements at the Qatar Olympic Committee, the 2011 Arab Games and Katara Cultural Village where he is the current Director of Engineering Affairs. He holds a BSc in Electrical Engineering from the University of Miami and an MBA from the University of Plymouth. 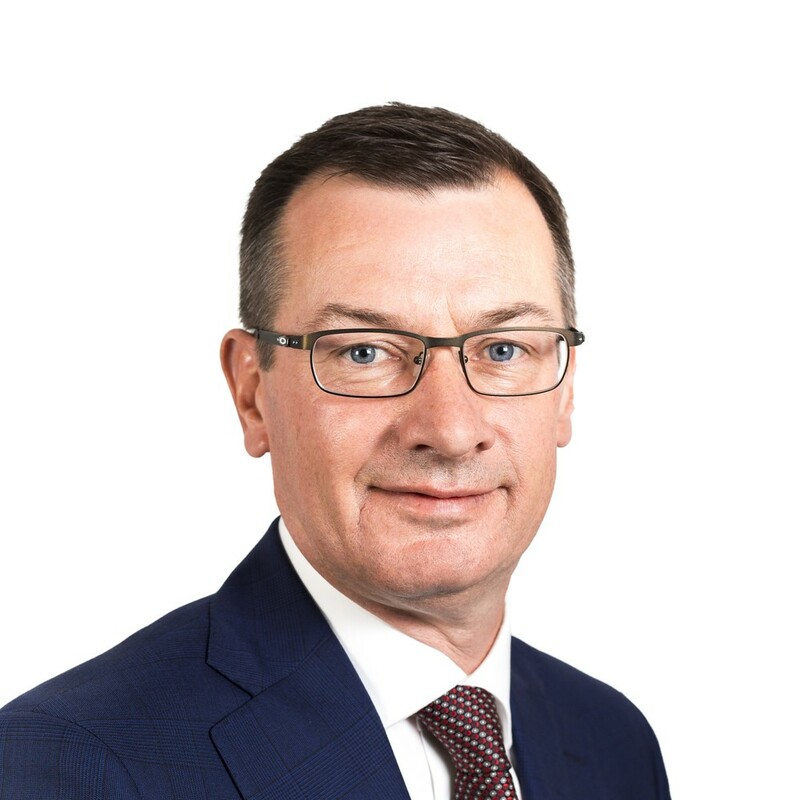 Ian Thomas is Cushman & Wakefield’s Chief Operating Officer for Europe, Middle East and Africa, based in London. He has over 30 years of experience with Cushman and Wakefield working in various roles with his professional focus being on Project Management of construction projects. Ian holds a Bachelor of Science in Building Surveying from the University of Reading and is a member of the Royal Institution of Chartered Surveyors (RICS). Mosanada employs a senior and knowledgeable management team who have experience in delivering FM services for a wide range of clients and industry sectors. Mark was appointed Chief Executive in January 2015 and prior to that held the role of Chief Operating Officer for the business. Mark has day-to-day responsibility for the Joint Venture business in the State of Qatar. He holds a master’s degree in Human Resource Management from the Aberdeen Business School, Robert Gordon University, and is also a Chartered Member of the Chartered Institute of Personnel and Development, and a certified member of the British Institute of Facilities Management. Mark spent the early part of his career in the Royal Air Force, serving all over Europe and the Middle East. Since leaving the military, Mark has held senior appointments with BAE Systems in Saudi Arabia and prior to the Joint Venture was responsible for UGL’s business operations throughout the Middle East. Simon Whitaker was appointed Chief Financial Officer of Mosanada in March 2013. In this role he is responsible for the finance operations for Mosanada, including the financial policies as well as financial and management reporting, treasury, and investor relations. Simon is also responsible for the Shared Services function in Mosanada, including Human Resources and the Computer Maintenance Management System. Simon has over 15 years’ experience in finance and has held a number of senior roles bringing with him extensive experience in managing finance functions. Prior to joining Mosanada, Simon held the position of Finance Director for Cushman & Wakefield in the Middle-East and previously worked at KPMG for 8 years. Simon holds a bachelor of science degree from the University of St. Andrews and is a Fellow of the Institute of Chartered Accountants in England and Wales (FCA). Martin Campbell joined Mosanada in February 2014 and is responsible for driving change at Mosanada, both from a strategic and business development perspective. He is responsible for all compliance functions and supports business operations by finding efficiencies to support business continuity and growth. Martin has over 28 years’ experience in construction and maintenance, specialising in Facilities Management (FM). His previous roles include the mobilisation and operations management of the first regional prime contract to be let in the United Kingdom. He has worked on private contracts such as the Account Manager for three major passenger airports, and in consultancy roles for FM providers across the UK and overseas. Martin has an MBA from Strathclyde University Business School, is a Chartered Construction Manager, and a Certified Member of the British Institute of Facilities Management. Greg joined Mosanada in 2013 to take on the inaugural role of Project Director for the Ministry of Culture and Sport project, responsible for the delivery of building control, maintenance, and sustainability services. He has since assumed responsibility for delivering the successful Aspire Zone project. Greg left the UK in 2000 having spent 15 years working within the UK Ministry of Defence Estates Departments which resulted in him being accountable for running approximately one third of the Military Facilities and Infrastructure Estate as part of Regional Prime Contracting Scotland. Since 2000 he has spent nine years in the Middle East within the Construction and Facilities Management environment with UK MoD, BAE Systems, and Astrium. Greg is a registered Chartered Engineer with a master's degree in Building Services Engineering from Brunel University London. Additionally, he is an active fellow of the Institution of Mechanical Engineers. Mustafa has been with Mosanada since the start of the joint venture in 2013. In his current role as Project Director of the Ministry of Culture and Sports Project he is responsible for the end to end delivery of Facilities Management Services to multiple large scale sports facilities. Prior to his current appointment, Mustafa held several senior roles at UGL Services including management of the inaugural contract at the Aspire Zone Project. Mustafa has over 20 years’ experience in Facilities Management and Industrial Maintenance across a diverse range of industries. Mustafa holds a Bachelor of Mechanical Engineering from the University of New South Wales (UNSW), Master of Business and Technology from UNSW, is a Certified Practicing Engineer, a Fellow of the Institute of Engineers Australia (EA) and is currently President of the EA chapter in Qatar. Alaa Elsamak joined Mosanada in 2018 to lead the delivery of FM services at Katara Cultural Village. Alaa has over 23 years’ experience in FM Projects. Past endeavours include shopping malls, the 2006 Asian Games, and the Aspire Zone FM Department. Over his career, Alaa has acquired strong leadership and project management skills through his extensive experience in the delivery of both hard and soft services. Alaa spent the early part of his career in the construction industry in the United Kingdom starting with an apprenticeship in civil engineering works. He now holds a Masters’ degree in construction management from the University of Glamorgan in South Wales. Mark has over 20 year’s Construction, Asset and Facilities Management experience having worked in the UK and the Middle East. He joined Mosanada in June 2017 after transferring from Cushman & Wakefield to take up a position as FM Consultant working on new Sports Stadium development. Mark is now responsible for the Mosanada Managing Agent team supporting infrastructure services at the Lusail City Project on behalf of Qatari Diar. Mark holds a BSc in Building Surveying from South Bank University London and having been elected to the Royal Institution of Chartered Surveyors (RICS) Qatar Board in 2017, Mark is active in driving and improving professional standards both regionally and internationally, whilst raising the profile of Asset and Facilities Management within Qatar. There’s more to business than business. As a member of Qatar’s community, we strive to contribute to Qatar National Vision 2030. Investing in human development, sustainability initiatives, and employee training is an integral part of who we are. We were recognised at the 2015 Facilities Management Middle East Awards, winning the prestigious Education and Development Initiative of the Year award. And we’ve spoken at regional conferences to spread the word about our innovative approach. Because Facilities Management is new to the country, Mosanada has taken ambitious steps to educate Qatari citizens in the field. By training Qatari nationals in FM, Mosanada’s legacy has been to establish a culture of best practice among the country’s future FM professionals. We have trained over 35 Qatari nationals to bring FM best practice to the country’s government and private sector for years to come. Going forward, we plan to expand these programs further. Too often, organizations consider sustainability a buzzword. But we don’t see it that way. There’s a reason why we have a dedicated, in-house sustainability team. It’s why we create bespoke, smart district cooling plans for our clients’ facilities. And why we made the switch from disposable plastic water containers to reusable bottles on our biggest site, and why we have made it a priority to install solar energy solutions in our newest projects. Safety is at the heart of Mosanada’s training, policies and procedures. It is our number one priority, day in and day out. That’s why we’ve instituted SAFE365, a program that integrates safety best practice into our daily work day. Safety is non-negotiable for us. We continue to earn our ISO 18001 certification (and re-certification) for a safe and healthy working environment. We are the region’s first FM provider to be accredited as a training 'Recognised Centre' by the British Institute of Facilities Management. This is consistent with our mission for learning and career development, which aims to promote FM excellence through employee development of the highest quality. Our people, customers and, business benefit as a result.